The Philippines is one of the most vulnerable countries to climate change. Annually, an average of 20 tropical cyclones affect the country making floods and landslides a yearly event. Owing to its geography, the most productive areas are of course the plains that is also flood plains that floods exacerbate due to the deforested mountains surrounding them. Its agricultural sector is the worst hit by these climate related phenomena such as severe floods and periods of drought. Rice production is thus one of the hard hit sectors in agriculture. 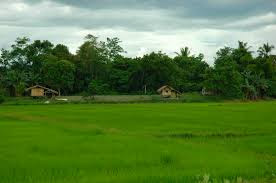 The traditional varieties of rice planted can no longer cope with the change in climactic and environmental conditions and the losses suffered by the farmers themselves only contributes to their economic distress. Current rice varieties suffer due to lack of irrigation or floods that reduce rice ready for harvest reduced to black grains. By then it is already too late. The farmers endure losses and national rice production, rice being a staple in the Philippines critically affected. This result in importation of rice that also affects the balance of payments of the country notwithstanding food security for the entire population. Scientific and technological advances call for a rice variety that is resilient to these factors. Taipan Brand Farm Inc. recently launched PAC 801, a hybrid rice seed from Advanta Seed International (ASI), in several provinces across the country. This is part of TBFI and ASI’s commitment to providing high quality agricultural seeds to the Philippines. These hybrid rice varieties were distributed in in Luzon, Occidental Mindoro, Bicol, Nueva Vizcaya, Isabela, Pangasinan, Bulacan and Nueva Ecija, Leyte and Iloilo, Lanao del Norte, Agusan del Sur and North Cotabato. 1. Adaptable to wet and dry seasons. The potential of 220 cavans per hectare even through all weather conditions. These went along with knowledge dissemination on seedling care, water management, pest and infestation management and even harvesting techniques.